Born at Sugar Grove, Illinois on 30 July 1874, son of Robert Mewhirter and Esther Robinson, he was educated at New Providence (Iowa) and Des Moines (Iowa), with a degree in pharmacy and chemistry. He came to Canada in 1906 and was employed as Manager of the Gutta Percha and Rubber Company, of Winnipeg. 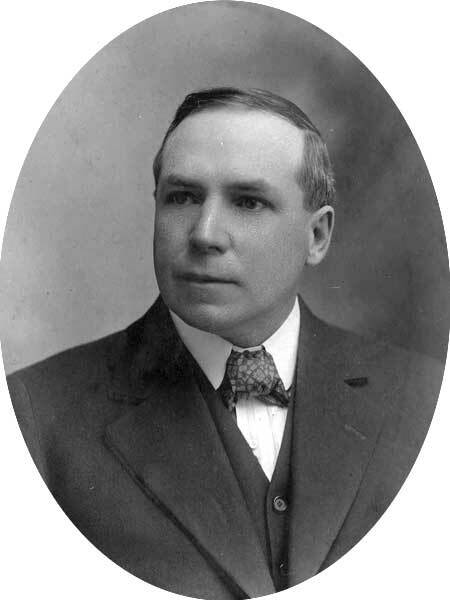 He was elected to the Manitoba Legislature at the 1914 general election, never having previously voted in a provincial or federal Canadian election, and having taken out Canadian citizenship shortly before the election. He did not run in the next election, being replaced by T. G. Hamilton, but he remained active in politics. He was married three times. In the 1890s, he married Nancy Mewhirter (?-?) and had two children: Raleigh Mewhirter and Myrne Mewhirter. They divorced in May 1897. He then married Mary Marie Moe (?-? ), daughter of Gunder J. Moe, of Decorah, Iowa. They had one child: Merle Harry Mewhirter Martin (b South Dakota, 1898). With his third wife, Alma Ann Mewhirter (?-? ), he had a daughter, Betty Mae Mewhirter. He died on 2 September 1957. He is buried in the Saint Rose of Lima Cemetery, Chesapeake City, Maryland. “Choose Mewhirter,” Manitoba Free Press, 3 January 1914. We thank Denise Hahn for providing information used here.